Note: 12V DC jack MUST be disconnect and re-connect it back to LST02 for new setting to be effective. 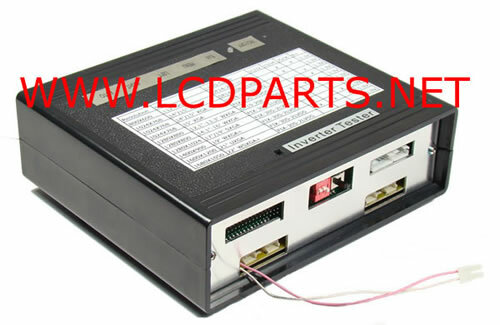 12V DC Jack MUST disconnect before switch to test another LCD screen. 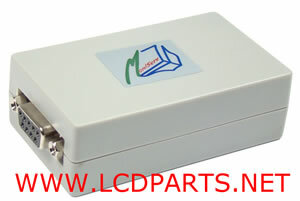 How to use LST02 (V2) to test LED and LCd screens. The following video instruction shows you how to set up LST02 to test 15.4” WXGA (1280X800) screen and 15.6” WXGA_HD(1366X768 HD) LED screen. The following video instruction shows you how to set up LST02 to test 15.4” WXGA (1280X800) screen and 16” WXGA_HD(1366X768 HD) LED screen. 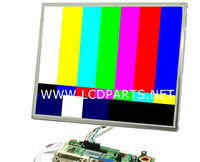 We would like to test a 15.4" LG Philips LCD screen. 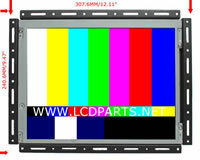 Connect Panel Wire Harness to LST02, Remember, 2 white dots MUST face up when use our custom wire harness. shown on next photo. Note: our panel wire harness can ONLY plugs in one direction. Setting Dip Switch, Panel B+ and connect LCD Screen Backlgiht to LST02. Program Driver Burner - Available Now! With thsi custom build DB01, There is no need to set jumpers. Just down load driver and burn it in LST02. DB_ Register is a program that you need to install in your computer. So it could establish a connection between LST02 and DB1 throughout 9 pin serial cable. 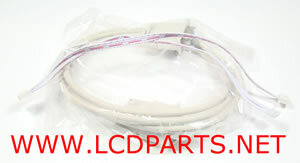 DB01 comes with 9 pin serial data cable and 4 pin to 4 pin wire harness.